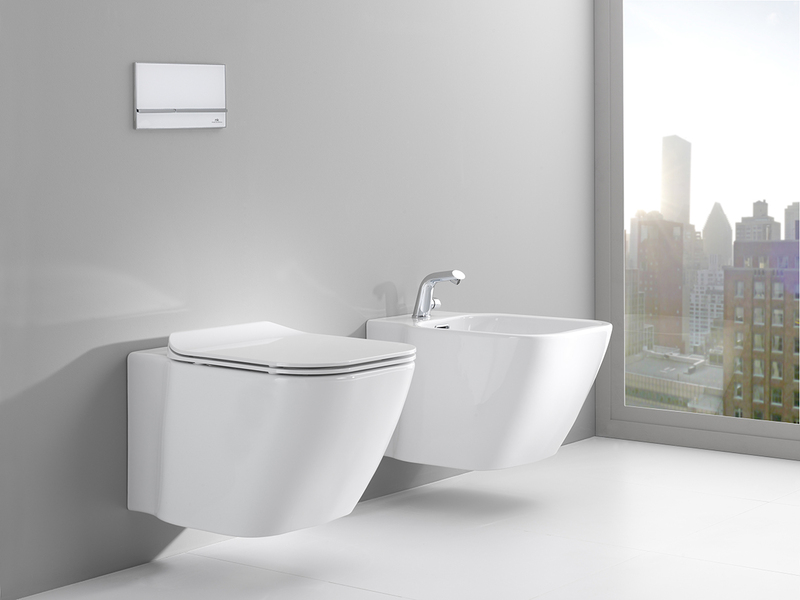 The trend of simplicity in bathroom environments seems to have extended to other decorative tendencies, thanks to the functional and aesthetic possibilities that this option offers, and which satisfies both architecture and interior design professionals and users. Thus, Noken wall hung fixtures offer a design solution that adapts the needs of every project, maximizing the use of the space available. 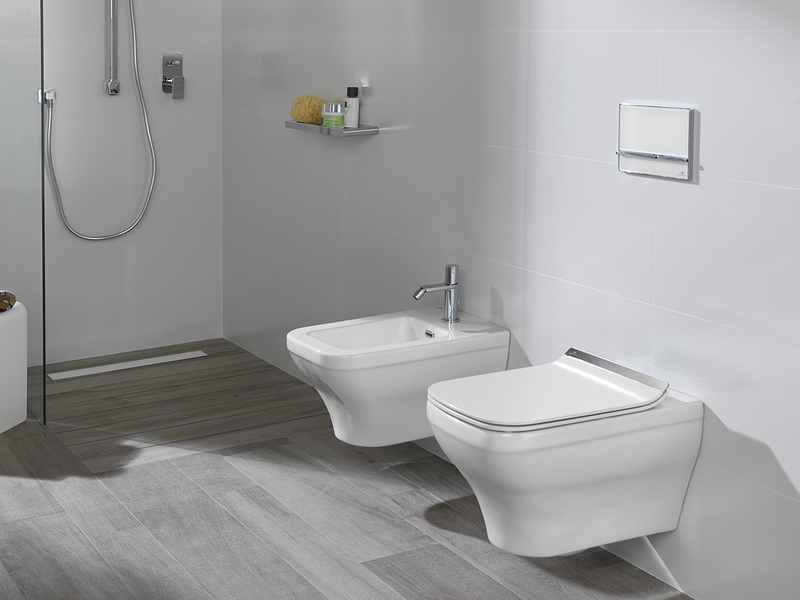 As these models are smaller than the traditional ones where the cistern and drain are hidden behind the wall, these models enhance the sensation of spaciousness and visual lightness, using the space that is saved to install small objects and accessories. 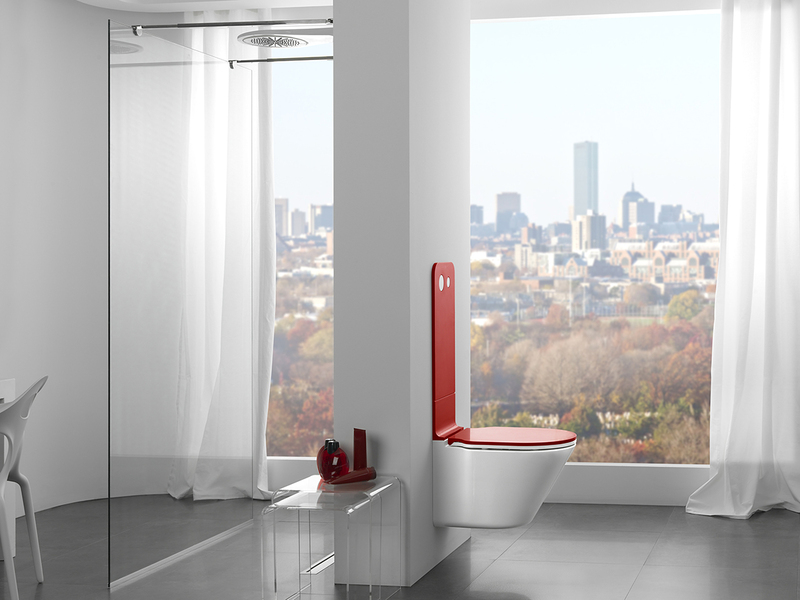 Furthermore, wall hung fixtures get rid of tight corners, making cleaning easier and helping to create a more hygienic environment. 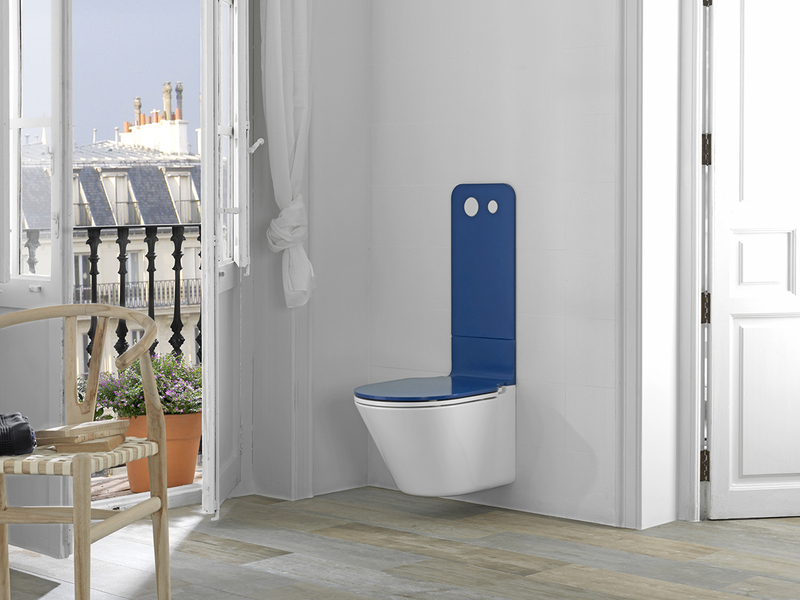 In addition, their height can be adjusted to offer the user greater comfort, making the configuration of a customized bathroom possible. In small rooms, white finishes are essential to provide greater brightness, achieving a space expander effect. This practical and elegant result can be achieved, for example, by the wall mounted fixtures of the Arquitect range, characterized by its flowing dynamic lines, which give the collection its timeless character. 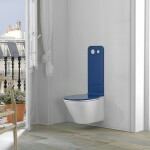 Apart from the white models, there are fresher and more informal options where vivid colorful touches are added to complements and accessories; a possibility offered by the cutting edge collection Mood, designed by Rogers Stirk Harbour + Partners and Luis Vidal + Architects for Noken, which has several color options, in addition to a version that combines the white ceramic finishes of the toilet with wooden coatings for the lid and the button panel. 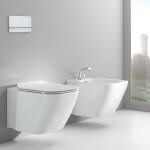 In addition to its innovative aesthetics, awarded with various international prizes – the KBBreview Bathroom Product innovation of the Year; Product and Graphic Design by Green Good Design; Best Bathroom Product 100% Design 2013 by Utopia Kitchen & Bathroom-, Mood proposes a sustainable luxury, as it is equipped with the latest technology to enable responsible consumption of water in bathrooms. 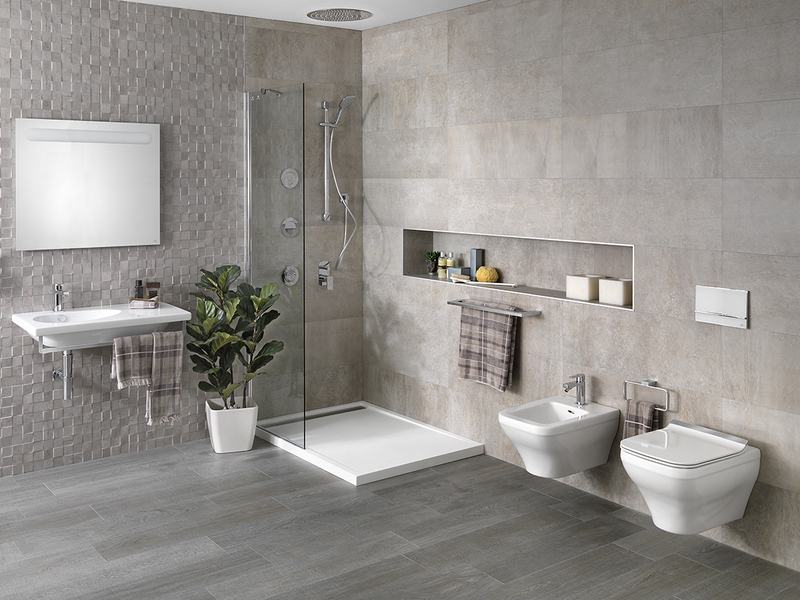 Last, but not least, there is the possibility of creating integrated environments by combining the different bathroom elements, such as toilets, washbasins, taps, baths, showers and accessories, from the same collection, to obtain a completely harmonic aesthetic, combinable both with classic and modern decor. 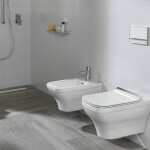 Wallmount toilet presentation for NorthAmerica from Noken Porcelanosa Bathrooms on Vimeo.